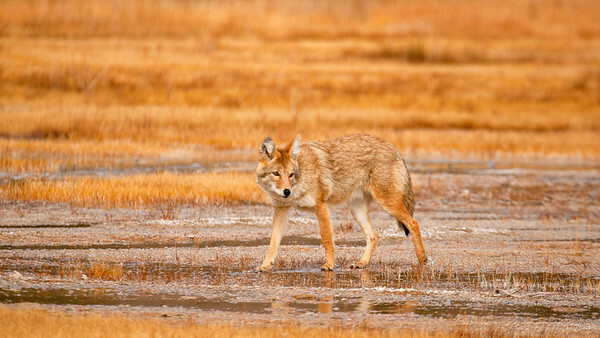 These predators were hard to find in the fall. 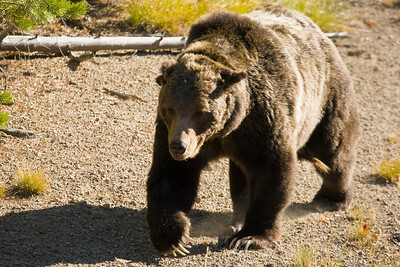 We only saw grizzly bear once, but it was very exciting because we encountered him right along the roadside early one morning. Fortunately we were in the truck and not out for a hike. 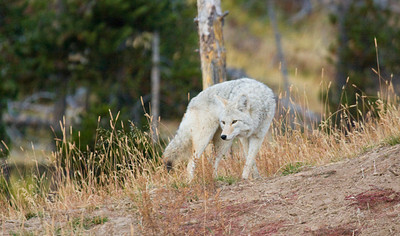 The wolves were only sighted a couple of times, once at quite a distance. 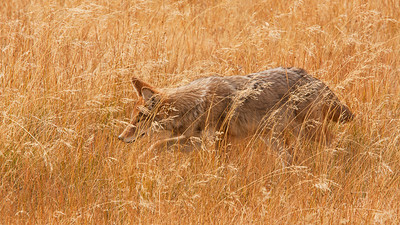 Coyote were easier to get close to on the few occasions we saw them. 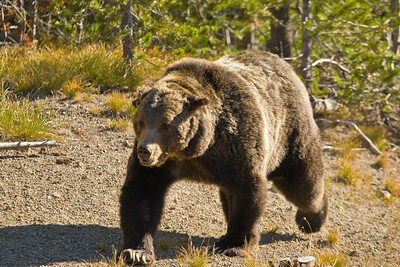 That is one big grizzly bear! 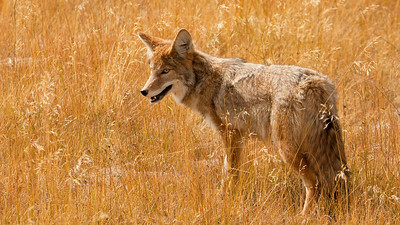 He was walking along the edge of the road. 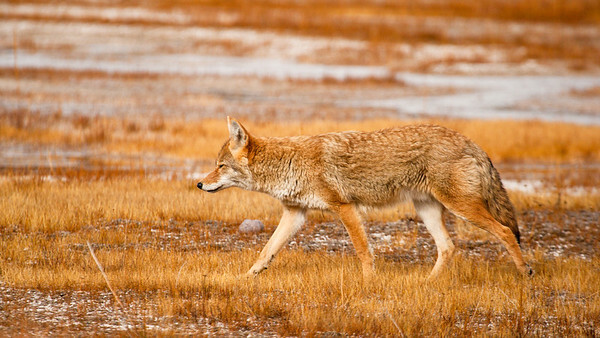 These predators were all hard to find in the fall. We only saw a grizzly bear once, but it was quite exciting because we encountered him at the edge of the road early one morning. Fortunately, we were in the truck and not out for a hike. 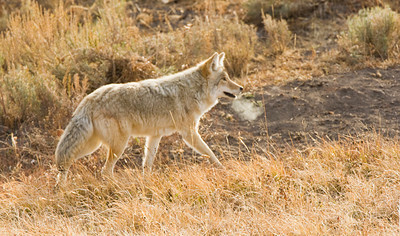 Wolves were only seen a couple of times, and one sighting was at quite a distance. 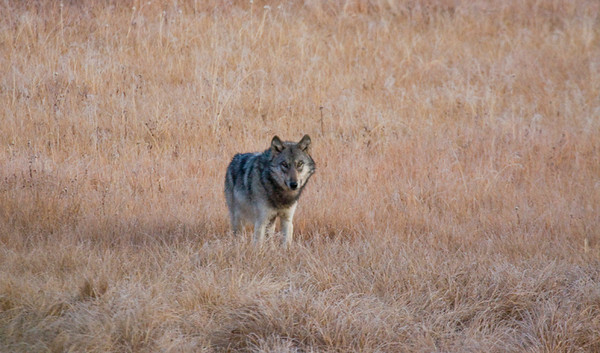 Winter is usually a better time to see the wolves, since they are after the elk who tend to be more concentrated at lower elevations. 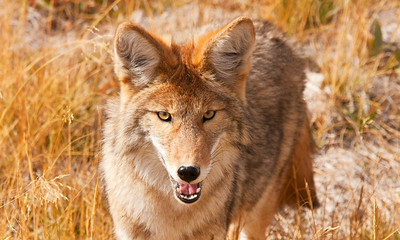 That coyote has a hungry look in his eyes! 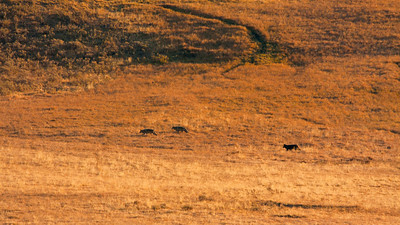 Three wolves in Hayden Valley stalking some elk. 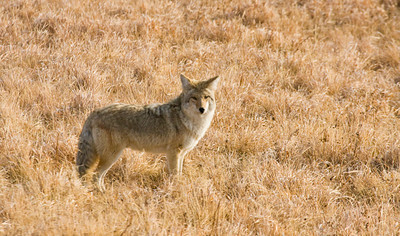 Distance was about 1/2 mile so even our 500mm lens + 1.4 teleconverter wasn't too much help. 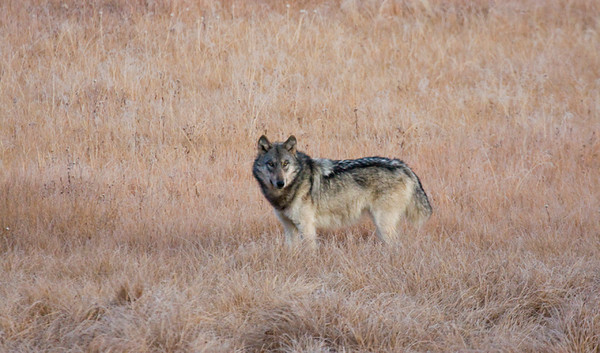 A really healthy looking gray wolf.